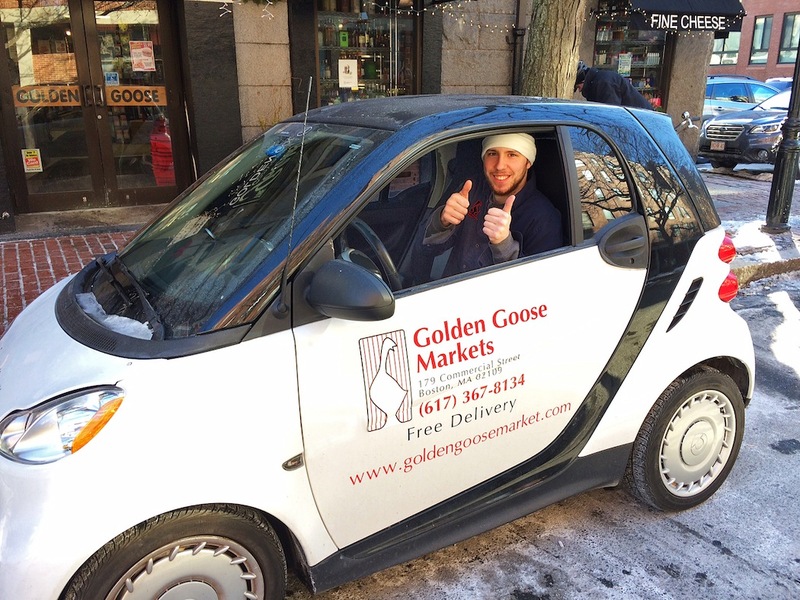 Have you seen the GooseMobile around the North End? The Golden Goose, on Commercial Street, just introduced “Goose To Go,” a new way for customers to order groceries, household supplies and liquor from their computers or phones. Within the hour, one of the Goose’s staffers, like Joe here, is off to make the delivery — for FREE. Right to your front door or office — delivered in the GooseMobile! With all the snow and cold we’ve had, it can be a life saver! If you see Joe zipping around town, tell him you saw him right here on NorthEndWaterfront.com. Previous articleReader Poll: Should Cycle Tracks Receive Priority for Snow Plowing?